2010 460 airbag delete done but have this message. 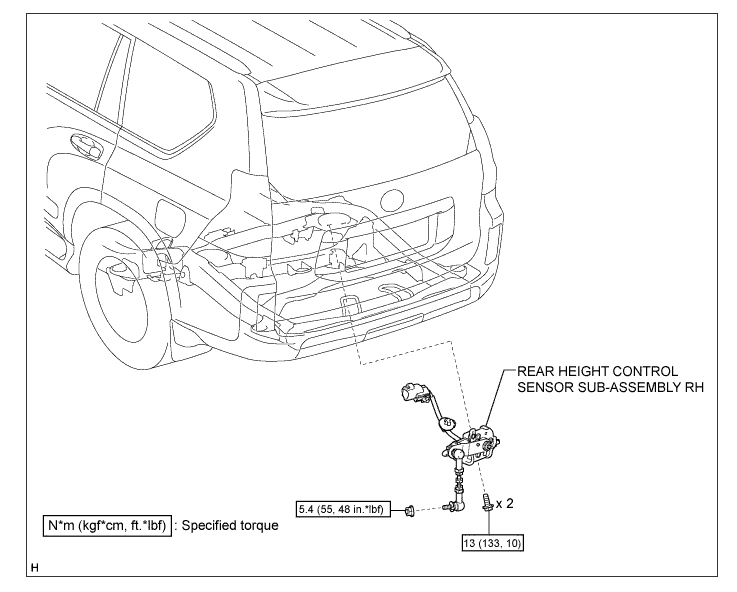 “Check Air Suspension System” and a orange triangle with an exclamation point. You may want to try removing the suspension control ECU. It is PN: #5 in this diagram in the fuse area. Does anyone know what suspension components the Suspension Control ECU controls (air springs - shocks - KDSS)? What I'm curious about if removal of the ECU will have an effect on KDSS? I was under the impression that changing the shock settings (Soft - Normal - Sport) also changes the KDSS behavior to match, though I could be wrong. Looking at schematics KDSS appears to be controlled by the separate stabilizer control ECU which is located under the gauges. There is some further info with pics over at CL. Did you leave this Rear Height Control sensor plugged in and attached as well? It is needed by the AFS HIDs. That seems to be plugged in, headlights appear to be operating as they should but I do have to adjust them to compensate for the lift. Now one of these may trigger errors with AFS but FSM states there are three items in engine bay relay block---> Suspension Control Relay, Air Sus Fuse and Air Sus No. 2 Fuse. In addition to the Suspension control ECU there is also an AVS fuse in the driver area fuse block. Have you tried unplugging all 5 items? • Do not remove the rear suspension height sensors. This may trigger an AFS error on the dashboard display. You may need to adjust them after lift to ensure headlights are aimed correctly though.